iOS — previously known as iPhone OS — is the operating system that powers Apple's iPhone, iPod touch, iPad, and Apple TV. Developed in absolutely secrecy for over two years, iPhone OS 1.0 was first demonstrated to the public in January of 2007 by Steve Jobs on the original iPhone, and shipped in June of that year. iPhone OS 2.0 shipped in July of 2008 and featured both enterprise improvements and the App Store. iPhone OS 3.0 shipped in June of 2009 and included Push Notifications and Voice Control. In January of 2010 Steve Jobs showed off a special version, iPhone OS 3.2, optimized to run on the iPad. iPhone OS 4.0 - later renamed iOS 4 - shipped in October of 2010 with multitasking and FaceTime. iOS 5 shipped in October of 2011 with iCloud and Siri. iOS 6 shipped in September of 2012 with Apple Maps and Passbook. 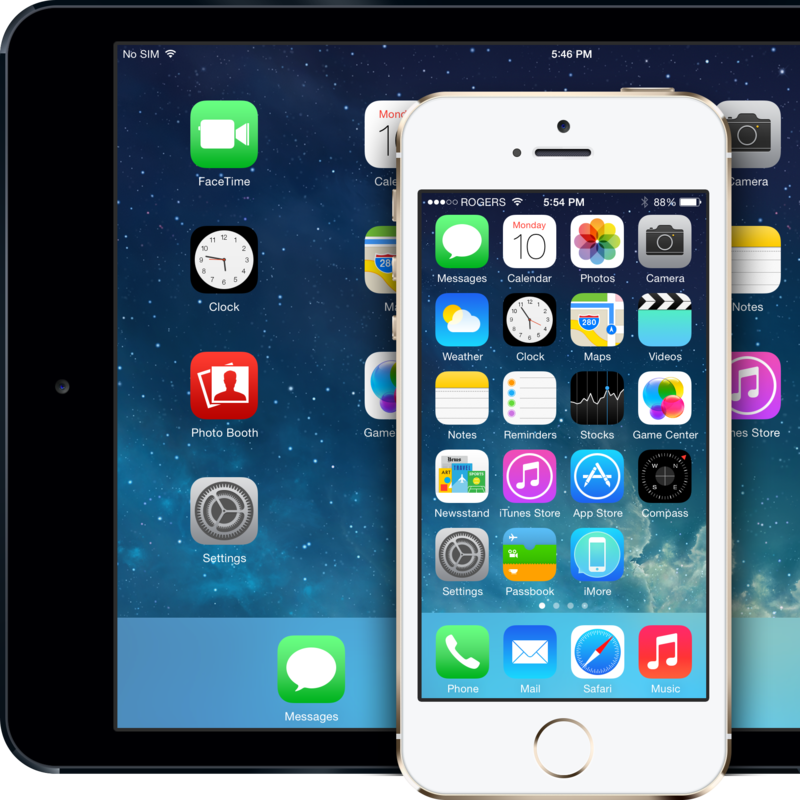 iOS 7 shipped in September of 2013 with an all-new design and features like Control Center. iOS 8 is currently under development and is expected to be shown off at WWDC 2014 this June. Smart fitness clothes are a quickly evolving trend that's popping up everywhere, but do they actually work? Looking to try out iOS 12.3? The third public beta is now available. Here's how to download it! How do you use the &quot;Hey Siri&quot; feature? There was a post here on iMore just yesterday about using Siri to check on Stocks. I checked it out and Siri gives good information so I'm chalking that up as another 'good to know' Siri function! Is Appleâ€™s So-Called Walled Garden a turn off or is it preferred? What would you like to see in iOS 13?